Current Version: v4.1.1 $150 $75 only Modulo De Integração Com O Mercado Livre Para Opencart. Mensagem de produto opencart para MercadoLibre apenas um único clique. Ele tem as seguintes funções: 1. Sincronização de produtos..
Payment Module Manager is a module that will allow you to filter, restrict, and control OpenCart payment methods according to various criteria. 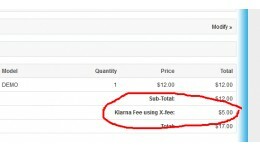 It will allow you to hide/show a particular payment method in the checkout step according to criteria..
Payment Modules Manager (Restrict/Control paymen..
X-Fee is a Order Total Module that can be used for any kind of extra fee in your order total. It could be a payment processing fee, or a shipping processing fee, or any other extra fee you need to add. It can be set for a particular payment meth..
X-Fee Pro is an advanced order totaling module that can be used for any kind of extra fee or discount within your order’s total. This could include a payment processing fee, shipping process fee, discount or any other fee. This module allows y..
X-form is an advanced form builder for OpenCart. It allows you to create and integrate any kind of form by dragging and dropping into any layout position OR it can be used independently. 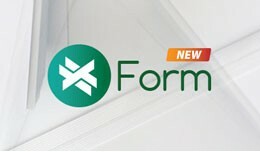 X-form has following features. 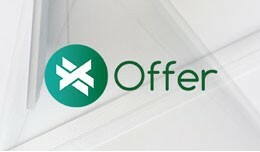 X-form has following featur..
X-Offer is an OpenCart order totaling module that allows you to offer your customer optional offers or features such as insurance fees or gift wrapping fees that the customer may choose or skip from the checkout page. 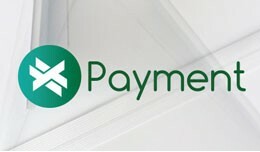 You can add the offer with ..
X-Payment is an advanced custom payment module. If you want to define your own payment method, this module is the perfect solution. This module allows you to create your own payment method and name it whatever you want. 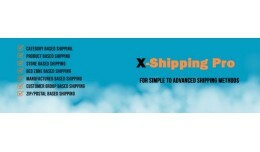 You can define payment me..
X-shipping pro is a Advanced shipping module. If you want to define your own shipping method and price, this module is the perfect solution. 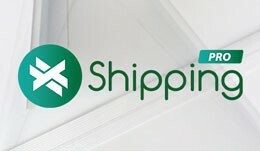 In this module you can create your own shipping method and give the method name what you want. You can d..
Opencart video Gallery extension. It has following features 1. Unlimited Video Categories 2. Youtube, Vimeo and uploading video support 3. Customer group wise videos. 3. Shows your Video in any module position as you want 4. Drag ..
Opencart Image Gallery extension. It has following options: 1. Unlimited image gallery 2. Drag -drop image sorting 3. Image uploading with progress bar 4. Gallery View and Individual Image View 5. Multi-Linigual Support 6. Gallery can ..